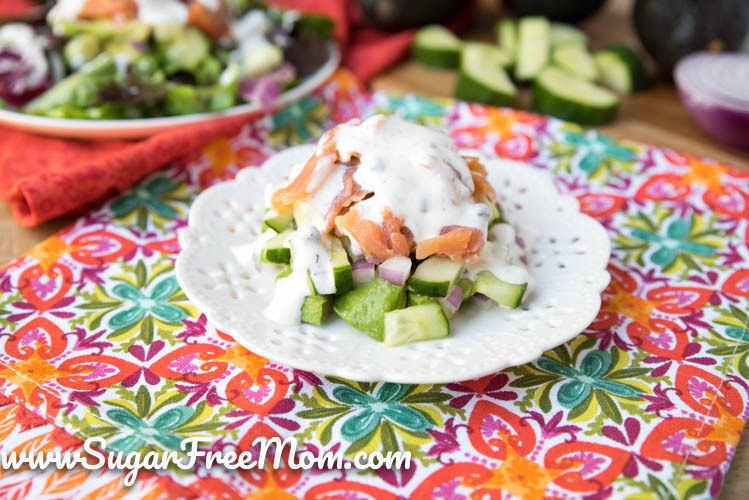 These Simple Keto Smoked Salmon Stacks are a fabulous, no cooking required low carb meal that satisfies in every way! Once the warmer weather hits where I live, I’m all about simple meals and as much as possible, not heating the kitchen when I can get away with it. 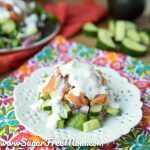 Hearty salads, grilling outside and recipes like the one I’m sharing today make eating low carb and keto super simple! 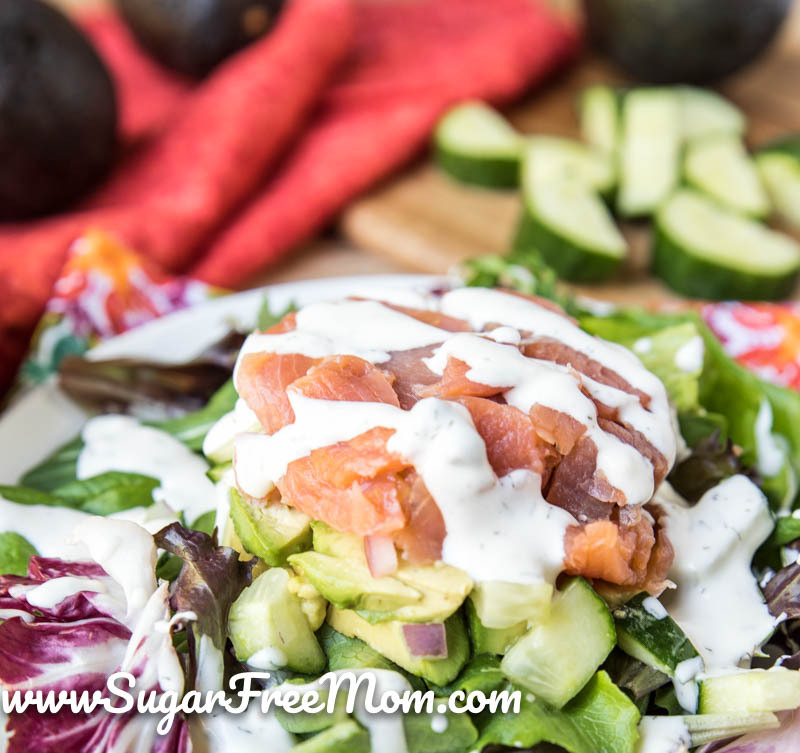 You need less than 7 ingredients to make this delicious smoked salmon stacked salad! 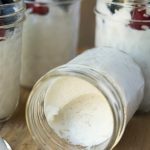 It comes together in less than 10 minutes and you could pack it in a mason jar for work if you desire. 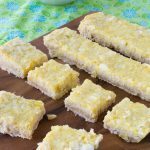 This recipe makes 4 stacks, so enjoy with your spouse or save them all for yourself for the week ahead! 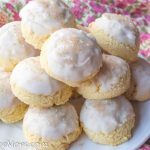 This recipe today comes from my blogging friend Mellissa Sevigny. 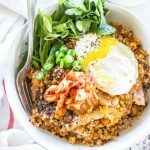 She shares drool worthy keto comfort foods on her blog, I Breathe I’m Hungry. We met a few years ago at a blogging conference and I quickly felt like we had been friends forever. She’s down too earth, and real, nothing fake about her and she’s got the prettiest blue eyes I’ve ever seen! Her photography is amazing and I’m constantly drooling over everything she posts. I was so excited when I heard she wrote her first cookbook! I couldn’t wait to get my hands on it and I was not disappointed. All her recipes are top notch and perfect in every way. Nothing to fancy and complicated, but all pretty enough for entertaining. But was I loved most about her cookbook was her intro into her journey and life. She makes it very clear, keto isn’t a one size fits all approach and not everyone has the same results. See what I mean about being real? It’s true and I could very much relate to so many things she shared. 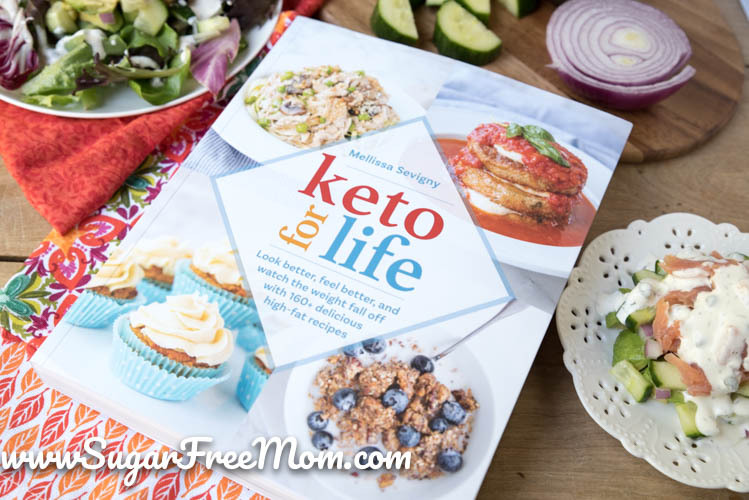 It gave me confidence and a new take on how to make a keto lifestyle work for me personally. I’m so inspired and highly recommend buying Keto for Life! Recently, if you haven’t been following me for a while, you may not know I started the keto diet after being low carb for the last 4-5 years. I knew I needed to step up my game if I wanted to lose those last 10 pounds I’ve been holding onto since I’ve been blogging. 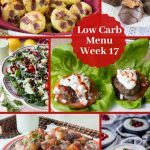 I shared my 6 Week Keto Results in this post and also the differences between a Low Carb versus Keto Diet. I’m in love with the keto diet because I’ve always, always and yes always craved FAT! And for so long I believed fat was BAD. Our bodies naturally want to eat fat, and once I learned fat was not to be shunned, but embraced, my life has forever changed. This meal represents everything I love. 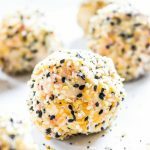 Creamy, crunchy and salty, it’s a combination that makes this lifestyle sustainable for me! Hope you enjoy this as much as my hubby and I did! I chose to make the Creamy Lemon Caper Dressing used over the top of her stacks in the cookbook and it was so perfect. Since I didn’t want to share more than one recipe from her book I did not include the dressing below. Top with just some olive oil and lemon juice or your favorite dressing. 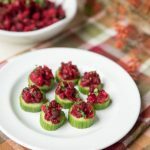 This recipe comes from the new cookbook by Mellissa Sevigny, "Keto for Life" and is posted with permission. Chop the salmon into 1/2 inch pieces. Combine the cucumbers, onion, sweetener and vinegar in a small bowl. Remove the flesh from the avocados and chop into 1/2 inch pieces. Assemble the stacks: Spread out 2 cups of spring greens on a salad plate. Pack one quarter of the chopped salmon into a 4 inch ramekin or dish. 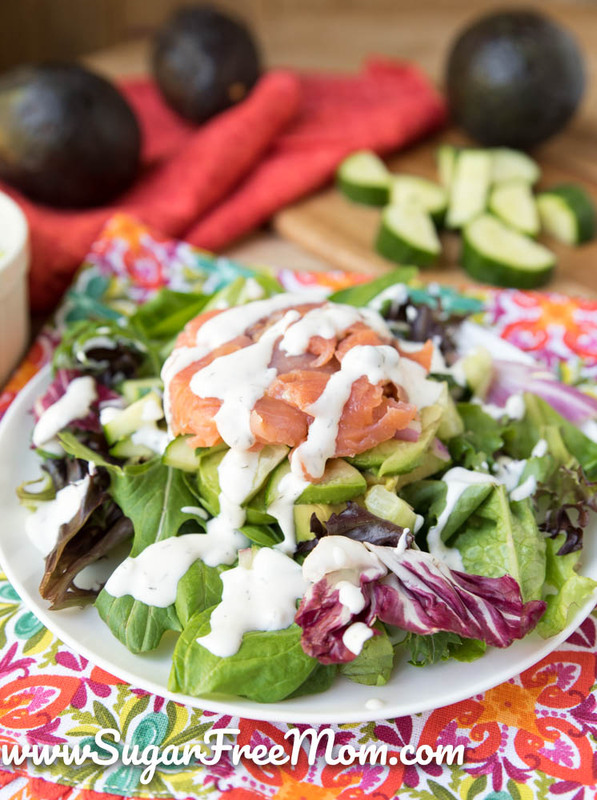 Top the salmon with one quarter of the cucumber onion mixture, then one quarter of the chopped avocados. Press the stack down gently to compact the layers but do not mash them out of shape. Carefully turn the ramekin over on the salad greens to unmold the stack. Repeat Step 4 until you have four complete stacks. Drizzle 2 tbsp of dressing over each stack and serve. 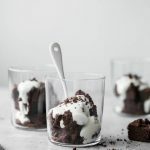 Alternate Method than Stacking: If you don't have a ramekin or don't want to bother with stacking the ingredients, you can spread the greens on a large platter and then scatter the toppings over them and serve the dressing on the side. 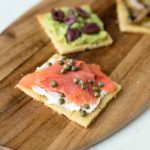 Nutrition Info is for the smoked salmon stacks only. Dressing is your choice and would need to be counted in as well. 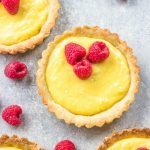 You can choose just lemon juice over the top if desired. Thanks for this recipe!!! I’m always looking for something that’ll keep me from slaving over the stove. Blessings to you!